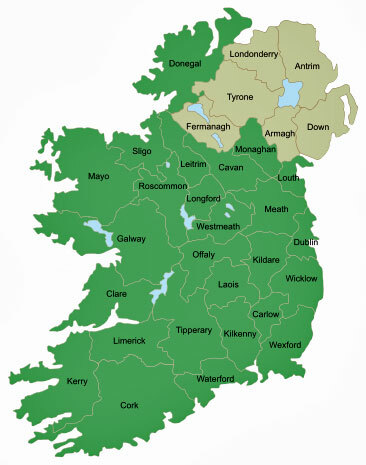 Besides the things to do or see in Limerick City itself (See Congress City page) there are many places of interest in Limerick county, and the neighbouring counties of Clare and Kerry. This page gives you an overview of what to see in County Limerick. In all three counties, you will find amazingly beautiful scenery, consisting of coastlines, rivers, lakes and mountains, as well as an array of historical castles, churches and abbeys. You may well want to make the most of your trip to Ireland by extending your visit before or after the congress. Why not explore the Wild Atlantic Way, a 2,500km scenic driving route that 'snakes its way round every nook and crook of the western seaboard from Donegal to Cork'. For more information see www.wildatlanticway.com. Tourist information office and website details can be found here. Glenstal Abbey was built in the 1830s for the Barrington family. It was designed as a castle in 12th century style. It has a great gate and a massive drum tower that resembles the one at Windsor Castle. The Barringtons moved to England in the 1920s and in 1927 sold the castle and lands to the Benedictine Order. It became an abbey in 1957. Visitors are welcome to Glenstal Abbey. They can walk in the extensive grounds and in the seventeenth-century terraced garden, participate in the community’s worship (at set times throughout the day), enjoy the monks' peaceful Gregorian chanting, visit the Icon Chapel (by arrangement) and browse in the Abbey Book and Gift Shop. Refreshments by arrangement. The monks provide a guest house for those who wish to have a private retreat which provides time for rest, reading, reflection and prayer. Directed retreats are also available, as well as one-to-one conversations with a spiritual director, by arrangment. Location: Murroe, Co. Limerick. Telephone: +353 (0) 61386103. Distance from UL: 15km. 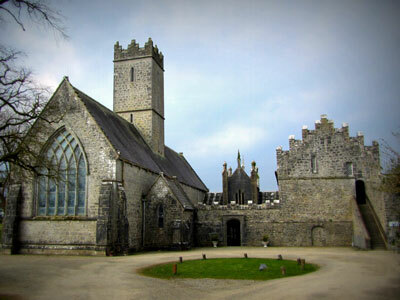 Located just 20km southwest of Limerick, the village of Adare has a rich ecclesiastical history. It once had three monasteries, the second of which was the Augustinian abbey, founded by John, Earl of Kildare, in 1315. Religious activities continued for about 200 years, until the community was suppressed in the mid-16th century. 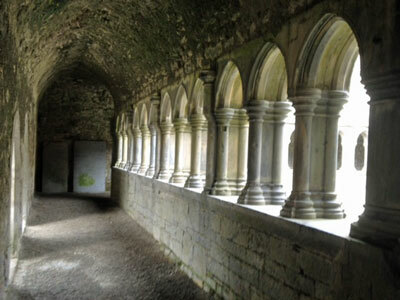 Today, visitors can view the well-preserved cloisters as well as the church, in use by the Church of Ireland since 1807. Location: Adare, Co. Limerick. Telephone: +353 (0) 61396227. Distance from UL: 27km. Askeaton Castle is a late 12th-century ruin located on the River Deel in Askeaton Town, County Limerick. It is believed that William de Burgo established the castle, though the 15th-century friary is attributed to the 4th Earl of Desmond. The banqueting hall is one of the finest mediaeval secular buildings in Ireland. Location: Askeaton, Co. Limerick. Telephone: +353 (0) 61392149. Distance from UL: 32km. The Desmond banqueting hall is an imposing two-storey structure and was used by the Earls of Desmond for banqueting and entertainment. 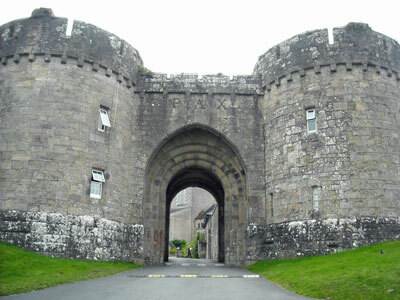 It is located in Newcastle West, County Limerick and was constructed during the 15th century. Location: Newcastle West, Co. Limerick. Telephone: +353 (0) 6977408. Distance from UL: 46km. View website. The crannog-shaped Lough Gur Visitor Centre tells the story of the pre Celtic settlers who farmed and lived in the peaceful valley of Lough Gur, 21km from Limerick City. Location: Lough Gur, Co. Limerick. Telephone: +353 (0) 61385386. Distance from UL: 21km. The De Valera Museum and Bruree Heritage Centre uses audio visuals, graphic panels, set pieces and displays of personal memorabilia to tell the story of Eamon de Valera (former president of Ireland). Location: Bruree, Co. Limerick. Distance from UL: 36km. Opening hours and contact details available via the 'what to do - culture & heritage' page at www.visitballyhoura.com. The 15th century Carrigogunnell Castle is superbly situated on a volcanic rock with a marvellous view overlooking the whole Shannon estuary. It is located just 3km north of Clarina Village. The castle lies in ruins after being attacked by cannon during the 1691 siege of Limerick. Location: Clarina, Co. Limerick. Telephone: +353 (0) 61317522. Distance from UL: 15km. This castle was erected with an ancient ring-fort in the early part of the 13th century. It became a strategic fortress during the following turbulent years. It was the property of the Earls of Kildare for nearly 300 years until the rebellion in 1536, when it was forfeited and granted to the Earls of Desmond who gave the castle its present name. Location: Adare, Co. Limerick. Telephone: +353 (0) 61 396666. Distance from UL: 21km. For more information of any of these heritage sites and other attractions please view the Discover Ireland website.